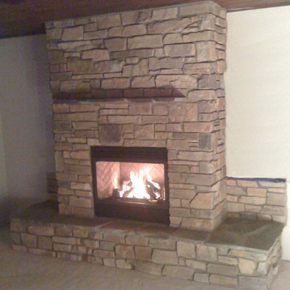 This house has only electric heat so the homeowner wanted a gas fireplace. 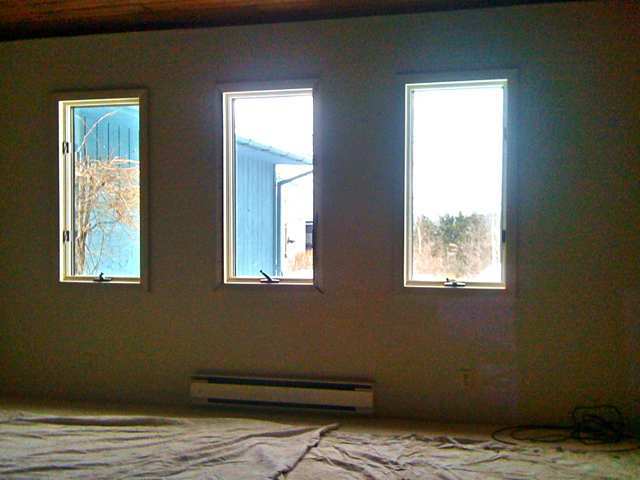 We removed the window, the electric baseboard heat and then moved forward on the completed project. 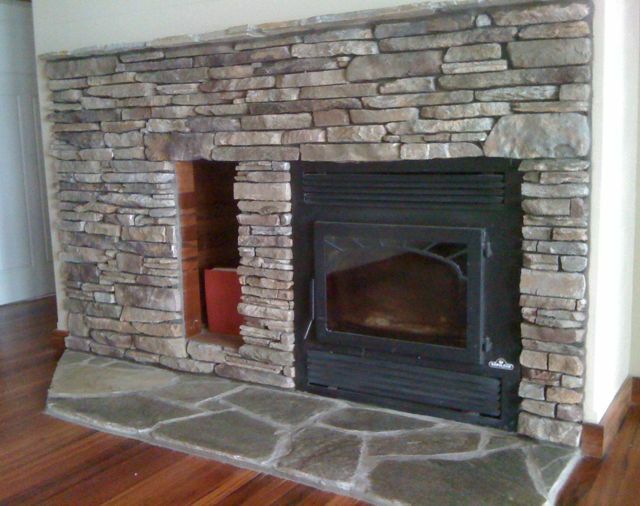 The mantel is stone that cantilevers out from the stone wall. 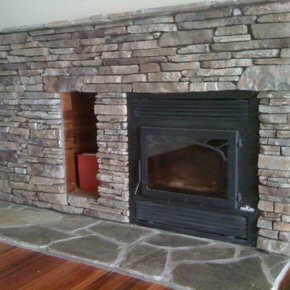 The hearth is Idaho gold and silver. 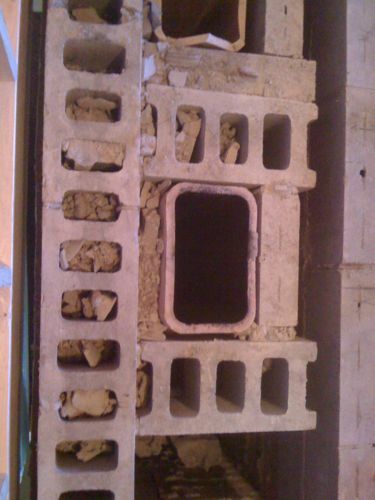 Using real stone that is sawed back saved us from creating a load bearing footing. 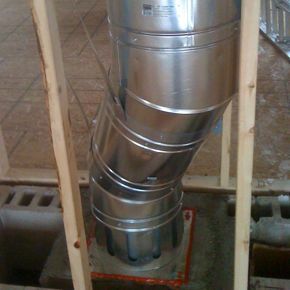 Clay flue transitioned to modern day class-A pipe that is UL listed. This was a one story house originally. The roof was removed and a second story was added. 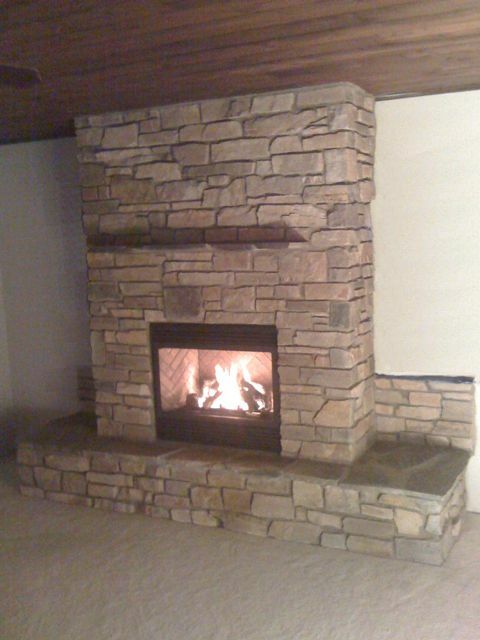 The original chimney needed an extension. 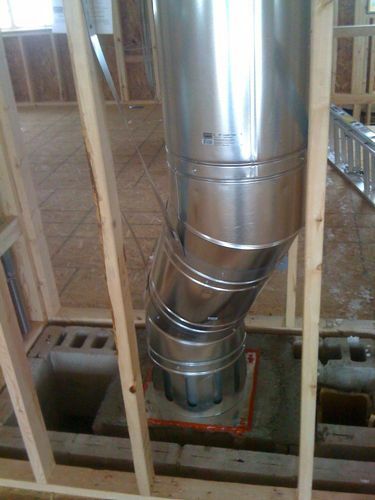 We attached a transition piece that takes the chimney from a clay flue to a modern day class-A pipe that is UL listed. The money savings on this was reflected on the cost of the roof: no girder trusses needed and no masonry cost. 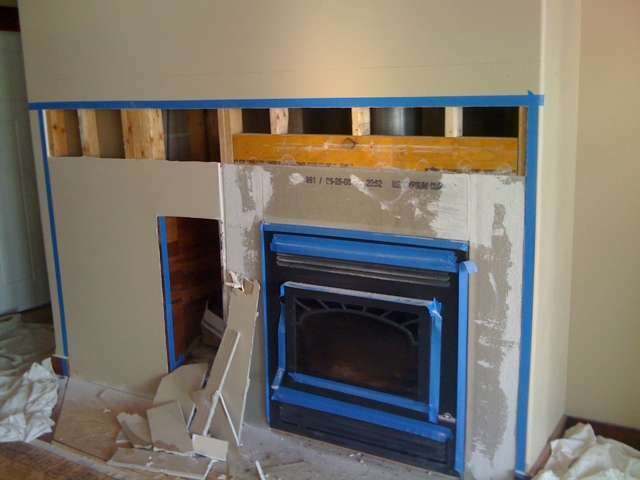 It saved thousands of dollars for the home owners. 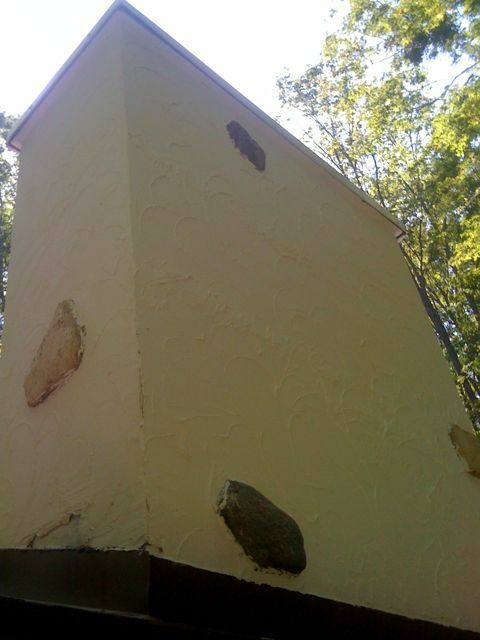 This chimney came apart due to water damage. 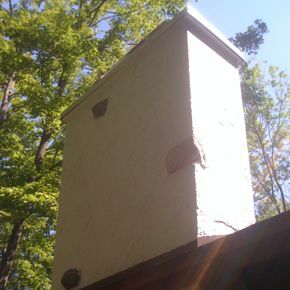 We first installed a one piece white metal chimney top with no seams in it to prevent any future water leaks. 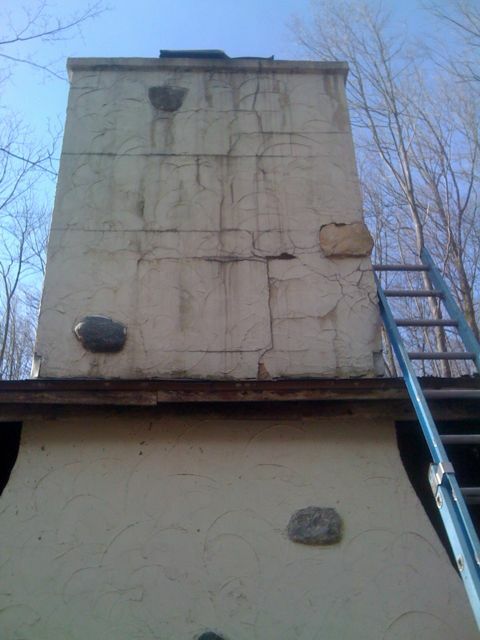 Then we repaired the chimney to bring it back to its original appearance.